Oregon area record collectors take note! 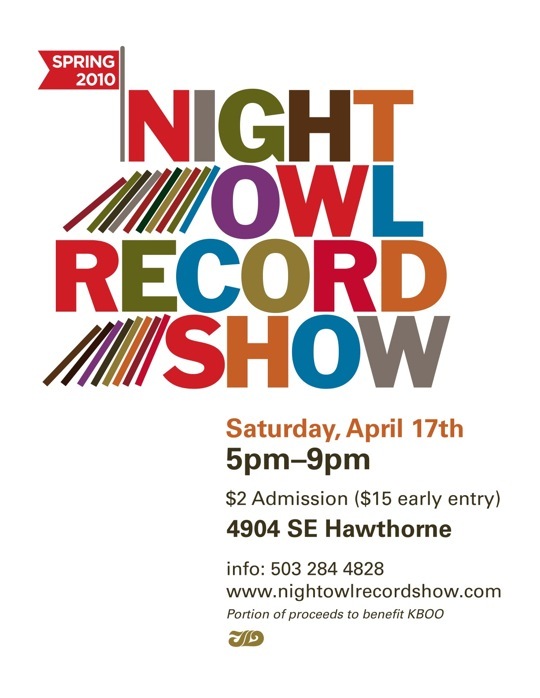 Spring is upon us, so grab a wad of cash and a stack of unused records and head on over to the Night Owl Record Show. The next show will take place in the evening on Saturday, April 17th at Portland Eagles Lodge. A portion of the proceeds will benefit Portland’s KBOO Community Radio. damn, i might have to drive myself up the road for this…. Mr floyd has NO luck. Missed the last one by mixing up the dates. I will be at this one.